For many of us, when we think of Borneo, we would almost immediately think of orangutan. In fact, many have travelled, or plan to travel, to this third largest island in the world simply to see orangutan, “one of the most human-like of all wild animals”. There are 2 orangutan rehabilitation centres in the Malaysian part of Borneo. One is Semenggoh Wildlife Centre near Kuching in Sarawak and the other is Sepilok Orangutan Rehabilitation Centre near Sandakan in Sabah. I have had the opportunity to visit Semenggoh Wildlife Centre, which I have listed as one of the top things to do and see in Kuching, Sarawak, back in late 2015. Following that quick visit, I’d been dreaming of checking out Sepilok Orangutan Rehabilitation Centre in Sandakan as well, which is one of the most popular destinations in Sabah. My dream came true a few months back when I was invited to join a trip to Sandakan with Sabah Tourism Board & Gaya Travel in a programme called “In Case You Didn’t Know Sandakan” (#ICYDKSandakan). In my case, I really didn't know much about Sandakan, other than maybe a bit about Sepilok Orangutan Rehabilitation Centre. 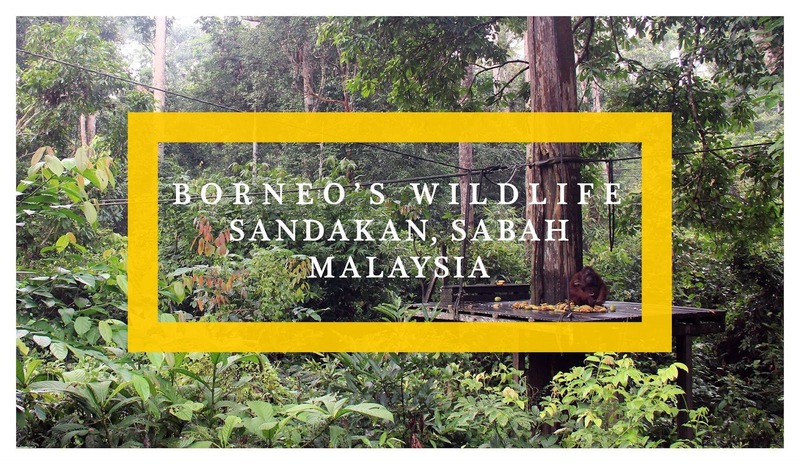 Did you know that apart from the orangutan rehabilitation centre, there are actually two other centres in Sandakan that do similar work in saving Borneo’s wildlife? Me neither, heh! 😛 Well, that was the case until my visit to Sandakan when I got the chance to visit these 3 amazing wildlife centres. Proboscis monkeys are usually identified by their unmistakably large nose feature. Locally, they are known as “monyet Belanda” (Dutch monkeys, in Malay). The root is said to be Indonesian, who found similarities in terms of the size of the bellies and noses with their Dutch colonisers. Native and unique to Borneo, not many would have heard of this family of monkeys, let alone have seen them. 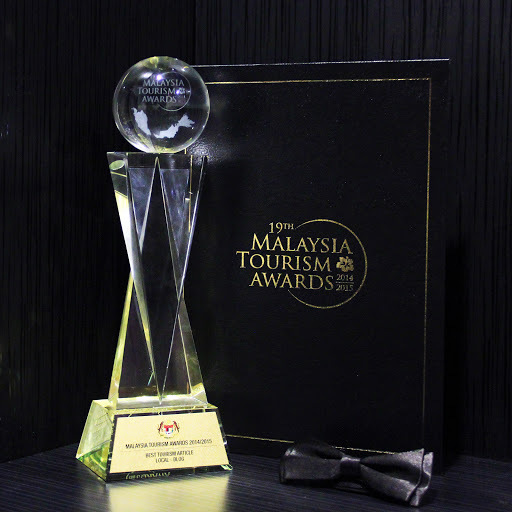 Personally, I only got to know about their existence when they became the official mascot for Visit Malaysia Year programme in 2014. Labuk Bay Proboscis Monkey Sanctuary is located less than an hour drive from the town of Sandakan. Set amidst a mangrove forest, visitors would have to travel miles off the main highway and inside palm oil plantations to get to the Sanctuary. The plantations were the reason why the Sanctuary existed in the first place. Realising that the monkeys were being chased out of their natural habitat because of the plantation projects, the plantation owner created for them a private sanctuary that is now known as Labuk Bay Proboscis Monkey Sanctuary. If you're coming to Sandakan, this is definitely one of the must-visit places in town (although, it's actually located a bit out of town, about 40 km away, in fact). Here, dozens of wild Proboscis monkeys live in the Sanctuary. There are two observation areas/platforms at the Sanctuary – Platforms A & B, located in different locations, each with two different feeding times. We visited Platform B in the afternoon, just in time for one of their feeding times. Perhaps already knowing that their meal time is near, we got to see a group of them just hanging around the wooden boardwalk at first (some in a group, whilst a few - the male ones, mostly - seemed to prefer being alone). A lot more of them turned up later when their food was served on a platform just a few feet away from the “house” (the main building), where we and other visitors were busy trying to find vantage points to snap some photos. Adding to the excitement - albeit an unrated one - was an Oriental Pie hornbill which flew over from the forest next door and spent some time on the house balcony for some free food as well. There’s another Oriental Pie hornbill which shied away and remained on a tree branch, waiting for the partner to bring back some food. On top of this, there were a few wild silver-leaf monkeys, also from the nearby forest, scavenging for some food too and later just hanging out around the main building at the Sanctuary even long after the feeding time has finished and we were already getting ready to leave. From some readings, I understand that visitors have a better chance to see Oriental Pie hornbills and the wild silver-leaf monkeys on Platform B compared to Platform A. As both of these are unique, just like Proboscis monkeys too, it’s perhaps better to plan the time of your visit according to feeding times at Platform B. For updated entrance fees & feeding times, check the official website. How to get there: You can either drive here, take a taxi or a tour package. If you’re planning to come here independently using public transport, shuttle-bus transfers are available between Sandakan and the Sanctuary via Sepilok (where the next two animal centres are located). Check the official website for more details on the schedule and fare. If you're bringing a camera, there's a small camera fee of RM10 on top of the entrance fee, by the way. Just like Labuk Bay Proboscis Monkey Sanctuary, perhaps not many know or have heard about Bornean Sun Bear Conservation Centre (BSBCC) as well if compared to the more popular Sepilok Orangutan Rehabilitation Centre (SORC), despite the fact that the latter two are both located in Sepilok, Sandakan. However, a visit to this Conservation Centre is a must, especially for animal lovers and those who are visiting SORC as they are located virtually next to each other and in fact, share some common facilities like veterinary, parking and access roads. This relatively new Conservation Centre (opened to the public in 2014), is where you can check out Malayan sun bears, which are the smallest (and cutest and most adorable) bears in the world and are unique to Southeast Asia only. BSBCC was first initiated by a private individual, a Dr Wong Siew Te, who did a research on sun bears and found that, at the time, not many NGOs wanted to work with sun bears, "preferring better-known species like orangutans, elephants, rhinos” and others instead. It is thus great to see that BSBCC, now home to more than 40 rescued ex-captive sun bears, has grown bigger and getting the support from both the government & private sectors. Today, it is the only sun bear conservation centre in the world that has been set up “to provide education to the public and, more importantly, care and rehabilitation to rescued sun bears”. Walking along the boardwalks – at times well high above the ground – among the tropical jungle trees, it's interesting to see some of the sun bears roaming freely around the large forest enclosure that reflects their natural habitat. Some were just chilling out on the ground while a few were “showing off” their tree-climbing skills. One sun bear in particular, however, a 6-year old named Fulung, seemed to be playful, trying to seek the attention of visitors at one of the elevated platforms. At a glance, this might be fun (and a great photo opp too) to visitors but it is actually quite saddening once you find out about Fulung’s story and background, first of being found injured by hunting dogs whilst he was just a few months old, and then kept as a pet until he was about 2 years old before being saved and sent to BSBCC for care & rehabilitation. Each of the 40-plus sun bears at BSBCC, like Fulung, has their own stories, all of which you can read here. If you like, you can also adopt them, by the way, through the official website. Trivia: The cream/orange mark below their necks is unique and different from each other, like a fingerprint. Allocate at least 30 minutes here, more if possible, if you plan to walk around the Centre along the boardwalk in the jungle. We missed the feeding time here but we still saw plenty of sun bears quite closely from the boardwalk. Even if they’re nowhere near the boardwalk, there are a few telescopes available on the elevated platforms that visitors can use for an up-close view. For updated entrance fees & feeding times, check BSBCC official website. BSBCC is fully accessible for the disabled, including along the boardwalks. How to get there: You can either drive here; take a taxi or a tour package. If you’re planning to come here independently using public transport, there is a bus service from Sandakan town that departs from Sandakan Town Council building and stops at the junction to the Sepilok Rehabilitation Centre, from where you’d have to walk for just about 1km to get to BSBCC. If you're bringing a camera, there's a small camera fee of RM10 on top of the entrance fee. Cameras with telephoto lens/ or for commercial purposes have a higher fee, however. Last but certainly not the least, the oldest and easily the most popular wildlife shelter centre in Sabah, if not in the whole of Borneo, is Sepilok Orangutan Rehabilitation Centre (SORC). Set up in the 1960s as the first orangutan rehabilitation centre in the world to help “return orphaned, injured or displaced orangutans back to the wild”, SORC has since helped more than 100 orangutans go back into their natural habitat in the jungle. After our visit to BSBCC next door, we dropped by SORC, just in time to catch the feeding hour. Very much like at Semenggoh Wildlife Centre near Kuching in Sarawak, there’s no guarantee that visitors can get to see any orangutan at all during feeding times – as SORC is an open park where some orangutans live in a semi-wild environment, while some others live in the wild environment and become self-sustained. We were thus quite lucky because there was a mother orangutan with her baby who came over to the feeding platform to have a fruity feast, giving us and all other visitors the opportunity to capture some beautiful moments – especially when the baby wanted to grab whatever was on the mother’s hand, much to the latter's annoyance. The mother-child orangutan duo sure took their leisure time on the feeding platform because they hardly moved around and were still there when we left the viewing platform to walk to SORC’s open-air nursery. So while watching the mother-child duo at the feeding platform made most of us went "Wow! ", the young orangutans at the nursery probably delighted us a little bit more, as they were more active and playful among themselves. As such, even if there's no orangutan turning up at the feeding platform during their meal hours on the day of your visit, fret not, as the nursery would still provide you with the opportunity to see and take photos of some of them young ones, as long as you can manage to overcome the reflection on the glass wall of the viewing hall. For updated entrance fees & feeding times, check Sabah Tourism Board official website. SORC is fully accessible for the disabled, including along the boardwalks. How to get there: See info under BSBCC above. All of the above three wildlife centres can easily be covered on a day trip from the town of Sandakan. If you’re planning to have a nice meal during the trip, The Lake Bistro & Bar at Sepilok Nature Resort could be your answer. Great meal in a beautiful setting, and within walking distance from SORC/BSBCC. Transportation: While there is a taxi service, there is no Uber/Grab service in Sandakan. Car rental costs about RM150/day for a sedan. If you prefer to see these animals in the wild, taking a river cruise along Kinabatangan River or visiting Gomantong Cave could be your options (although there's no guarantee of any sighting). Have you been to any of these top animal centres in Sandakan? What do you think of them? Would you recommend them? If you haven't been, would you consider Sandakan, Sabah on your bucket list? We stayed at Four Points By Sheraton Sandakan and Sukau Rainforest Lodge during this #ICYDKSandakan trip. If you'd like to stay in Sepilok area, we'd recommend Sepilok Nature Resort. Great post. I was in Sandakan with my family about a year and a half ago. We visited the sun bear sanctuary and the saw the orangutans at Sepilok. After one orangutan feeding, we had a lone ape walk with us along the boardwalk for quite a ways. It was one of the most amazing experiences I have ever had. Thank you for the post. Thanks, Rand! Wow! That's really amazing, having an orangutan walking with you guys along the boardwalk! I probably would have tried to get a we-fie! :) How did you get to Sepilok, by the way? Did you guys take a package tour or went there on your own? Keep up the good work. I think travel writers and bloggers can play an important role in helping educate people about sustainable tourism and animal rights. Looks like you had a great time with these beautiful animals. Thanks, Penny. I do try my best to write more responsibly to encourage better and sustainable tourism because I do believe that everyone can play a part in this. Anyways, I sure had a good time snapping some photos of these beautiful creatures. During my trip to Borneo I saw the Orangutans being taken care. I am glad to know Probocis Monkeys and bears too are taken care of well. They do need a protected sanctuary so that their lives aren't disturbed. Hi Indrani, I couldn't agree more. There certainly needs to be a more balanced approach towards development, and more awareness too, obviously. Where in Borneo did you go, btw? Like many people I suppose my first thoughts when I think of Sabah is the Orangutan rehabilitation centre. So great that you also got to see the Sun Bears, they are adorable and the only ones I have ever seen are the rescued ones in Sydney Zoo, so seeing them in a sanctuary would be wonderful. Hi Toni, was it at Taronga Zoo? I missed them because I had to rush back to the CBD area when I was there. So this was my first time seeing sun bears. They are indeed adorable, aren't they? Excellent post. To start off, I wasn't aware that this place existed. I love how you are contributing by education people like me who either don't know about animal rights or have never come across something similar. I loved your general tips about how can 1 cover everything in a day. Thanks, Vicky! Sandakan is _the_ place to go if you want to see all the "exotic" creatures in Borneo, whether in sanctuaries or in the wild. We also saw some elephants by the river during our evening river cruise. Omg, I would love to go to all three of these centers. I love that they do rehabilitative work with the animals. It must have been so amazing to see them all. I'd especially love to see proboscis monkeys, as I've never seen them before. Hi Vicky! I thought you might love them! It was indeed amazing seeing them all in one day! Apart from sun bears, we saw some proboscis monkeys and orangutans in the wild too whilst in Sandakan, Sabah. I'm sold on Sandakan. I love bears and I totally agree that sun bears are the cutest bear (except for all baby bears). Those monkeys have the coolest noses. I would love to see all these amazing animals up close. Hi Jenn! You should definitely come to Sandakan one day! It's the place where you can see all these amazing animals whether in sanctuaries or in the wild. We also saw some proboscis monkeys, orangutans, elephants and some exotic colourful birds in the wild here. Really had a great & fun experience in Sandakan. Gambar semua cantik! Can transform to animal photography pulok. This is the kind of place that I love to bring my kids to, where there are greens and animal No shopping malls -_- . Will be revisiting Semenggoh this November.